Malaysian photographers out there, here’s your chance to get your work showcased internationally. 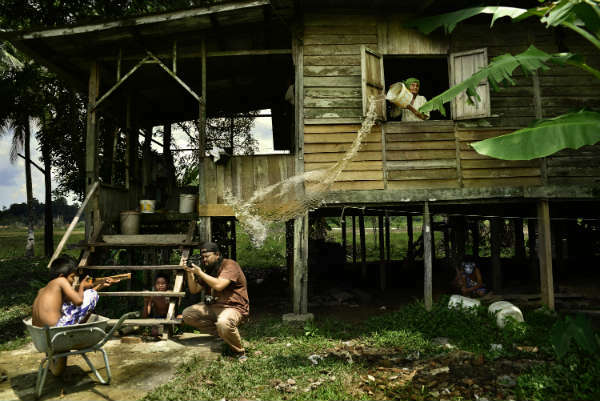 Sony World Photography Awards, in collaboration with Sony Malaysia, has launched the Malaysia National Award to search for the most talented Malaysian photographers. Interested photographers can submit their work in three categories: the Open, Professional, and Youth category. The Open category, like the name suggests, is open to everyone. In this category, there will be a total of 10 themes, which include low-light, nature and wildlife, panoramic, and travel. The more adept photographers who would like to test out their skills can enter the Professional category instead, while younger photographer can join the Youth category, opened for anyone 19 years of age or younger. All submissions, however, must be pictures taken in 2014. Before deciding on which category you’d like to enter, take note that you can only submit your work for one category; if you have already submitted your work in the Open category, you cannot enter the Professional or Youth category. On top of that, only submissions in the Open category will be eligible for the Malaysia National Award. The Professional category and Youth category will not be a part of the Malaysia National Award. In regards to the Malaysia National Award, a winner will be selected from each Open category along with two runner-ups. These photographers will receive Sony’s latest photography equipment and the opportunity to travel to London to see their works displayed at the 2015 Sony World Photography Awards Exhibition which will be held on 24th April to 10th May 2015. The winners will be announced on the 18th of March 2015, while submission closes on 5th January 2015, so better start snapping. Those who are interested to sign up can do so at the official website. Don’t worry, entry to the competition is free, but don’t forget to check the full terms and conditions before signing up.